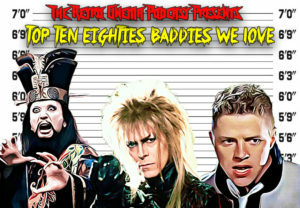 Coming up – Top Ten Baddies you love! | All Eighties Movies. All The Time! Coming up – Top Ten Baddies you love! This entry was posted in Top Tens. Bookmark the permalink.